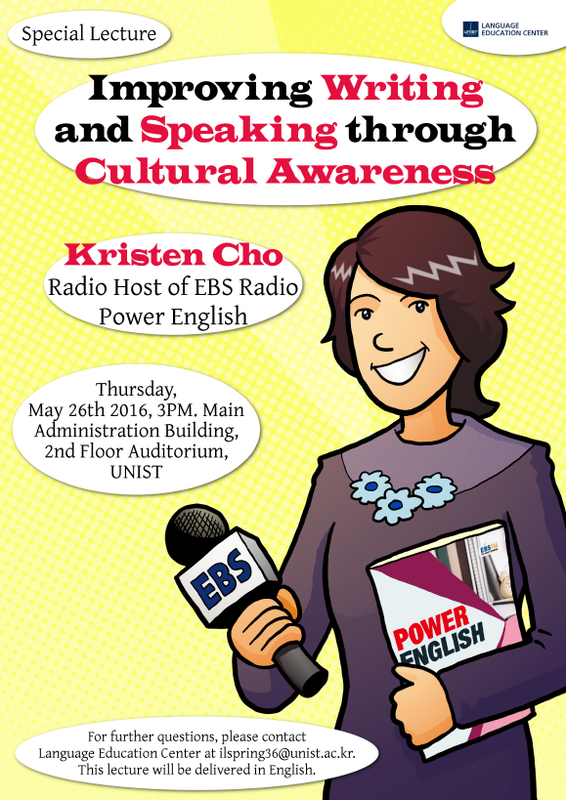 Kristen Cho, a radio host of EBS Power English visits UNIST to lecture on successful essay writing on May 26th, 2016. 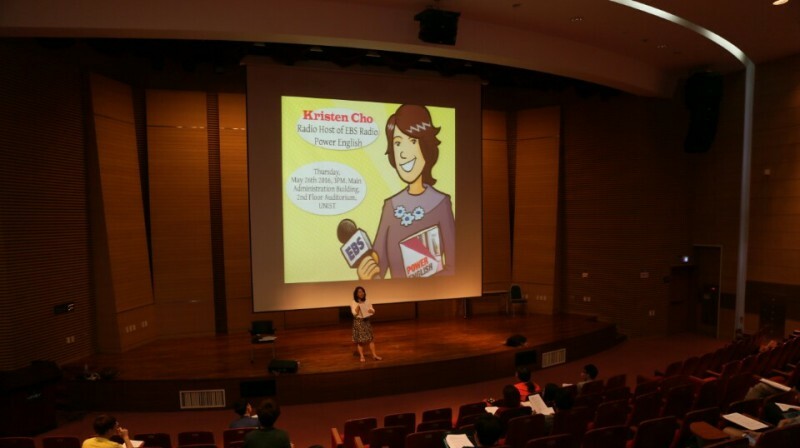 EBS "Power English" host, Kristen Cho delivers a special lecture at UNIST. Helping students gain a solid foundation of English grammar and writing skills. On this upcoming Thursday, May 26, UNIST will host its feature Writing Workshop Series” in the first half of 2016 to help UNIST community in improving their writing skills. 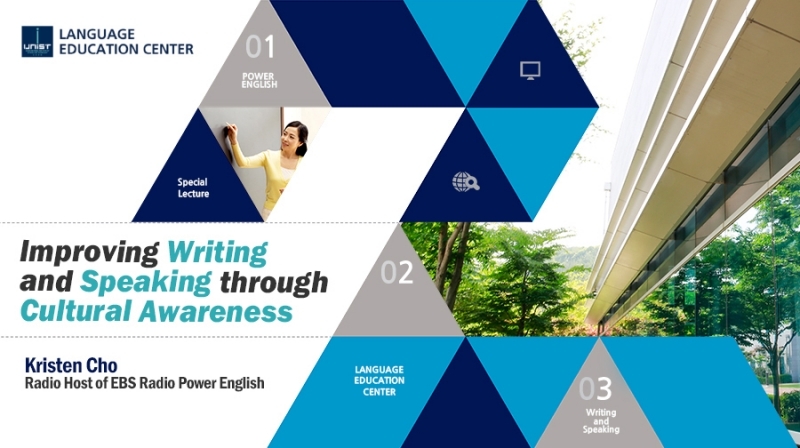 Kristen Cho, a radio host of EBS Power English will be presenting a lecture on “Improving Writing and Speaking through Clutural Awareness”. 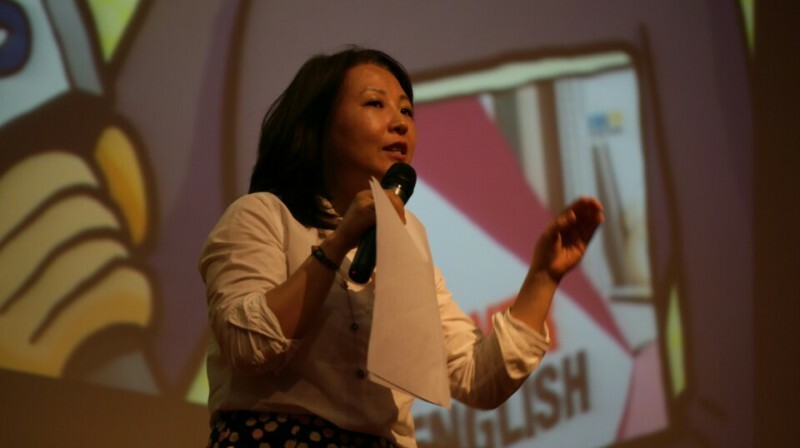 At the lecture, Ms. Cho will talk about the importance of communication and cultural awarness, as well as tips to get better at academic writing. Organized by the UNIST Language Education Center, this workshop offers a number of small-group workshops on specific aspects of writing. This worshop, consisting of four consecutive lectures, is designed to help students gain a solid foundation of English grammar and writing skills. The next lecture will be held on the 16th of June 2016, inviting Adjunct Professor Pieter Stek of MyongJi University. Prof. Stek will be presenting on “How to Become a Staff in Higher Education: With a Complete Perspective on Cosmopolitan Outlook”. Both undergraduate and graduate students are encouraged to enroll in the above writing courses offered by the UNIST Language Education Center. For further detailed information, please contact the UNIST Language Education Center (ilspring36@unist.ac.kr). Meet the “Humans of UNIST” in a Printed Book!